The next 12 hours after the boys were born were some of my worst (so I thought at the time). When you have a c-section, they insert a catheter to make sure your bladder empties appropriately. Well, mine wasn’t. All I kept asking for was this thing to be removed so I could see the boys. Now yes, I could have been wheeled down while the catheter was in but it was SO UNCOMFORTABLE! I wanted it out and I wanted to see the boys. And these nurses don’t waste any time teaching you how to pump for your milk. I got no sleep that night. I was up every 2-3 hours pumping away. Nick was checking on the babies. It was crazy. I literally felt like I was in a twilight zone just moving and doing but not really processing what was happening. My block was wearing off by the early morning so it was getting pretty annoying. My night nurse was really less than helpful. It wasn’t until the morning shift of nurses that they discovered I didn’t have the proper locking on my leg so the catheter was pinched and therefore I couldn’t go. By the time the nurses had discovered this, I had already had 2 bags of IV fluids in me and had drunk a ton of water. My stomach was hurting so bad. I thought it was from my incision but nope – it was my bladder on the verge of bursting. Once they figured this out, I was fine! I could PEE! Praise the Lord! I was so anxious to see the boys. Nick had been going to the NICU all night long, bringing me back pictures, but I needed to see them. I needed to know they were okay with my own eyes. Leaving my hospital room for the first time, headed to the NICU, was when I realized a little more how my birth experience was going to change me. I was surrounded by a bunch of new moms who had their babies in their rooms. I could hear them. The babies. Crying. Being with their mothers and fathers. It wasn’t anyone’s fault, I guess. It’s not like they have a wing dedicated to freshly cut open NICU parents who have no idea what’s going on or what will happen. I envied them and I didn’t know it. I actually hated them if I’m going to be honest. Why did they get to have that experience and I had mine? How was that fair? I may still hate them. Although the boys were breathing on their own, they were temporarily placed in a level 3 NICU pod. This meant that they were with much sicker babies then they were. Talk about a humbling experience. And slightly scary. Have you ever seen a baby with spina bifida? We did. At the time, that mom looked so strong to me. And I’m sure she was. You have to be in the NICU – there’s not really another choice. But her strength came from a long time of being there. It’s not exactly a strength I wanted if that was the price I paid for it. I was terrified. We were terrified. We just had two babies that now needed hospital care for, God knows, how long and now we had to make decisions for them, medical decisions for them. The boys were born late Friday evening and the hospital had them on a feeding tube essentially giving them nutrients until my milk came in. By Sunday or Monday (this is a tad hazy) I could tell the boys were HUNGRY. Their calm demeanor shifted and I could tell. I wanted my babies fed and it didn’t matter to me HOW. It never really did matter to me but I was going with the flow (haha no pun intended) and trusting the nurses and doctors knew what they were talking about. 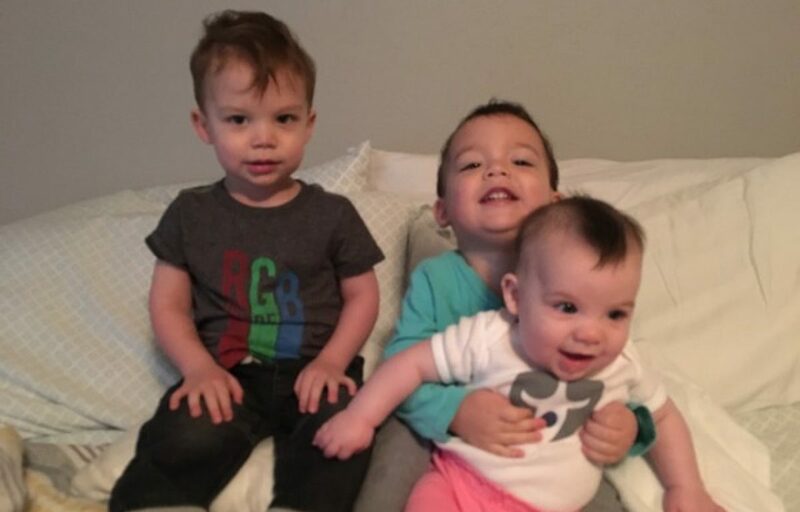 There was one thing I knew for sure by Sunday (or Monday) – they were hungry and they had to gain weight to leave the NICU and waiting for my milk to come in wasn’t going to help. I was still overwhelmed about all that was going on but the NURSE in the pod helped me voice my opinion for the first time. She helped me voice my mothers instinct. What I would have done without that nurse, I do NOT know. Nor am I glad I never found out (I hope that makes sense. My emotions are hard to sift through here). I essentially had to DEMAND them to start feeding the boys formula (GASP!). My boys got put on a feeding regimen and they instantly changed. I still pumped and began producing some milk that I split between them throughout their stay there. But overall, FED IS BEST. When you’re in the NICU you learn about all the noises. Oh so many beeps and alarms that sometimes mean scary things and other times it means a lead was dislodged by the baby kicking. It’s absolutely incredible how closely these babies are monitored. And it’s absolutely terrifying hearing all the beeps and alarms (until you become numb to them). I was to be discharged. I don’t think I could have dreaded that day more than the funeral of someone I love dearly. But it came and I couldn’t imagine not being in the same hospital with them and commuting to the hospital daily. I didn’t want to “leave them” at night without being super close by. The nurses were wonderful – they let us stay as long as we possibly could in our room and luckily they didn’t need the room urgently. They knew the hardest thing we were about to do was about to happen. They were kind and thoughtful but we still had to do it. By the late afternoon, we made our last visit to the NICU as residents of the hospital. Even though we were going to return the next day (and however many days following) our hearts smashed in a million pieces when we left that hospital…. childless. I have never been more sad in my life to leave the hospital without my babies. This was NOT how I pictured it. This is NOT what I wanted. THIS WAS NOT SUPPOSED TO HAPPEN. I wasn’t supposed to spend the drive home from the hospital with my husband looking at empty car seats and listening to each other cry. Because we both cried, we both broke that day, we both didn’t know what would happen or how we would manage whatever was to come. We both went numb. The following days were hard – REALLY DAMN HARD. I would sleep on our couch because I just couldn’t imagine coming to bed – a bed where I spent 34 weeks holding my stomach and feeling them move inside of me. It wasn’t right. I cried a lot in those days. My heart literally ached. I woke up early to pump and I would call the nurses around 6:30am every day (before the shift change) to speak with the night nurse. I would obsessively write down their vitals and weight and then asked whatever questions I needed to that morning. My mom usually came to take me to the hospital (I was on driving restrictions because of the surgery and medication) and I would sit in their room for 10 hours a day or longer. My sister would visit during her lunch hours and spend time learning how to be an aunt. She worked in the Med Center so it was nice to be with family when they could come. Nick would come towards the end of his work day and we would go home together. My heart would leap at the sight of them every morning and shatter every night as we walked to our car. Nick told me one time my demeanor just changed as we walked further away from the NICU and he was right. Every day I relived leaving them. Every day my heart broke. Every day it was mended again. It was a horrible cycle. Overall, we were lucky – the boys only spent 15 days in the NICU and both came home on the same day. Compared to the other NICU residents, it was a short period of time. Talk to my heart and it shouldn’t have ever happened. We had a few ups and downs. That’s simply how the NICU is – a constant roller coaster. It’s a roller coaster I never want to be on again. It’s a ride I wish NO one would have to take. But we are stronger for it. In hindsight, I was able to heal much better from the c-section before the boys came home. And when they came home, I needed to be the best I could be since they were premies and TWINS! I learned, we learned, so much about caring for our babies. I knew quite a bit but it helped Nick be a more confident dad as he learned from the nurses. It helped us learn about being a parental team to our boys. Despite the hindsight, I would like for this experience to be my only one. I’m praying this girl stays in a few weeks longer. But if she doesn’t, we will be okay. We will all be okay.